Looking back in the garden in 2015, although I may not have grown as much as previous years I’ve had my best ever returns for other crops such as tomatoes, beans and flowers. I think everyone in Ireland will agree with me that summer 2015 was a bit of a disappointment considering how spoilt we were with the previous 2 years. 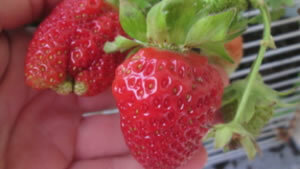 That said, in between the rain we did have plenty of pleasant days. I am so pleased with my tomatoes this year, even now I have vines with tomatoes that are swelling and ripening (I brought the best four plants indoors beside the French doors for extra light and warmth). 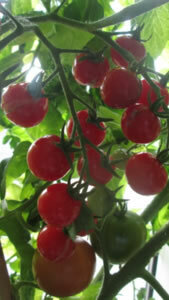 I eat cherry tomatoes like sweets over the summer, picking one or two off as I pass by; the shop bought ones taste so bland compared to the home-grown! With the excess I make batches of tomato sauces for the winter. 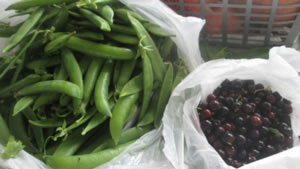 Beans and peas also did tremendously well this year and I have bags full in the freezer for later use. Also thankfully this year I got to my blackcurrants in time, before the birds, it’s my fourth year to grow them now and the shrubs are really starting to come into their own. Unfortunately, with the strong winds back at the start of the year, my crop of apples were knocked off but next year it may be a blessing as it will give the trees another year to grow/put down more roots. 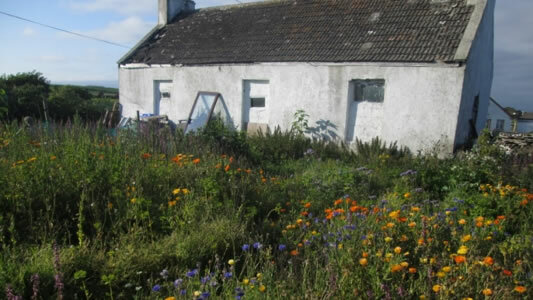 My Dad also has his veg patch and is very dedicated; like myself, he’s as natural as possible but he’ll use a spray as a very last resort (e.g. blight – spuds). 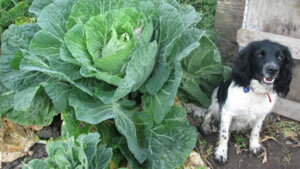 Here’s one of his huge cabbages that he grew this year (with Lilly the spaniel posing alongside)! 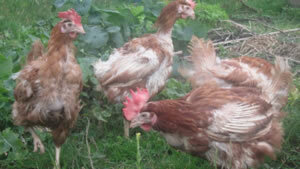 In my last article I spoke of how I adopted some hens and ducks last summer. Many an evening I have spent with a cup of tea just sitting there watching them, fascinated by their curious natures and individual personalities. The fresh eggs are a huge benefit. They also relish nothing more than digging and scratching about in freshly turned soil, de-bugging and fertilising the soil as they go. 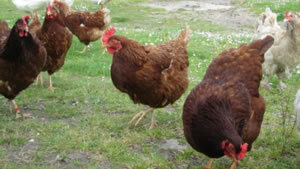 Since then I have also adopted eight ex-laying hens from LittleHill Animal Rescue who co-ordinated the rescue and drop off points all around the country. My first four (ex-battery hens) girls were in a very sorry state when they arrived, with them all missing feathers to varying degrees. The simple things like dipping their heads under water were a complete novelty to them as was making a nest where they would lay their eggs. At first they would “drop and go” but they have since discovered the comfort of straw in the nesting boxes. The newest four additions are in a much better state and are enjoying things like meeting the ducks, exploring the veg patch and chasing cats! Next year as well as increasing the amount of fruit and veg I grow I also want to add lots more colours to make life easier for bees/pollinating insects. 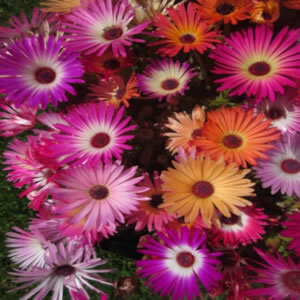 I hope to have loads more Livingstone daisies which I grew this year alongside marigolds, cornflowers, etc. Plants like Echium blue steeple which produces a mass spire of flowers, the guy to the left is a giant” Echium. Potentially they can grow up to 12 feet! They flower after two winters so it’s definitely a case of waiting for your reward but the tall foliage in itself is just as pretty to see. 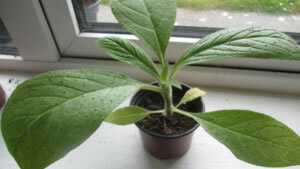 There are different varieties and colours of echiums all with carrying degrees of heights and flowers. I’m also going to add in some more permanent features like a “pink pampas grass”; not only a good windbreak but also a known hibernating place for hedgehogs! I have encountered a few hedgehogs in the veg patch throughout the summer so knowing some wild animals are using it as a home is great!